and every person a mission. "Cotton" was active in many aspects of her community. Longtime area resident EDNA "COTTON" BRIGGS passed away Friday, August 20, 2010 from injuries sustained in an auto accident. She was 58 years old. Cotton was born July 16, 1952 in Pawnee, Oklahoma, the daughter of James and Irene Jeanette (Smith) Fortney. 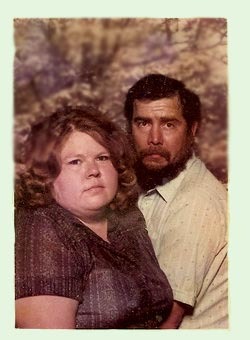 On July 18, 1970, she married Joe Wayne Briggs, Sr., in Pawhuska, Oklahoma. Cotton lived in the Pawhuska and Nelagoney area her whole life. She was on the Nelagoney cemetery and gas committees and the Nelagoney Volunteer Fire Department. A member of the Seneca-Cayuga Tribe, she was active in tribal affairs and the tax commission. Cotton also served as a Census worker. In her spare time, she enjoyed participating in school activities, swimming lessons and Cub Scouts with Ashton. She loved cooking for her family. Surviving are: Her husband: Joe Briggs; Her sons: Joe Wayne Briggs, Jr.; Jeremy Curtis Briggs; and Ashton Curtis Wayne Briggs; Her grandchildren: Olivia Sunshine Briggs and Cheyenne Marie Briggs; Six sisters: Sue Jones, Dorothy Hope, Mavis RedEagle, Nancy Penland, Madeline Niblack and Edith Miller; Four brothers: James Fortney, Jr.; Lonnie Fortney, Darwin Fortney and David Fortney; A host of nieces and nephews, and other family and friends. Cotton was preceded in death by her parents, siblings Leo Merchant, Lincoln Fortney, Jean Meek, Billie RedEagle, Lou Ann Washington, Harry Merchant and Maxine Fortney. Graveside services will be held Tuesday, August 24, at 10:00 AM in the Nelagoney Cemetery. Jimmy Hatfield will officiate. Interment will follow. McCartney's Johnson Funeral Home in charge of arrangements.